HUGE PRICE REDUCTION! 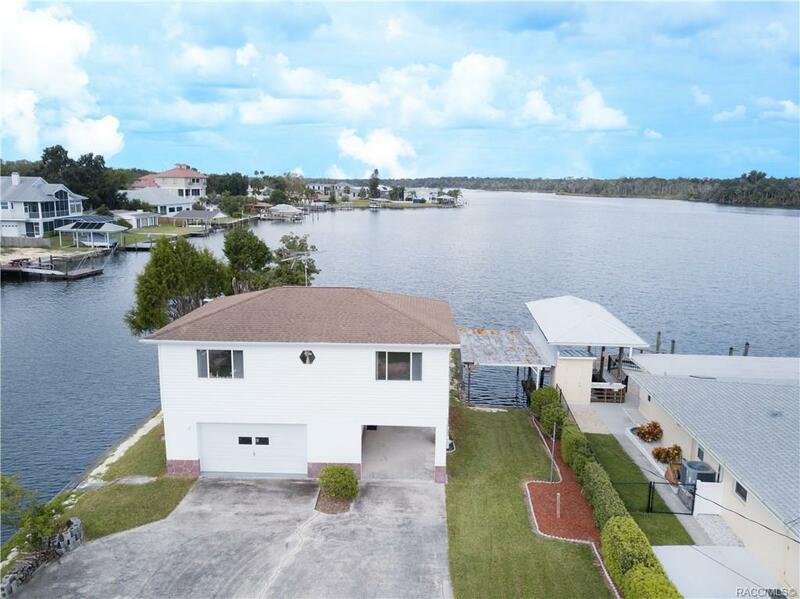 This FULLY FURNISHED and MOVE IN READY one-owner home has unbeatable, unobstructed views of Crystal River from almost every room. Features updated main living area downstairs, complete with 2 full bedrooms and 1.5 baths which has gorgeous tile that looks like wood, beautiful brick fireplace and cute roomy kitchen. Nice garage with added carport has HUGE bonus living space above it of over 800 square feet, which is fully ducted, has what could be used as separate bedroom and living spaces, and is ready to go. This is a one of a kind home with approximately 200 feet of waterfront footage and quick access to the Crystal River and the Gulf of Mexico. Come sit in your lovely Florida room and watch the manatee, dolphin, birds, turtles and fish at play! Second floor has separate entrance, the possibilities are endless! Shown by appointment only, call to see today! Properties like this are few and far between. Directions: From Us 19s, Rt On Ft Island Trail, To L At Pine Bark, Right On Watersedge, Pt To Kings Cove.